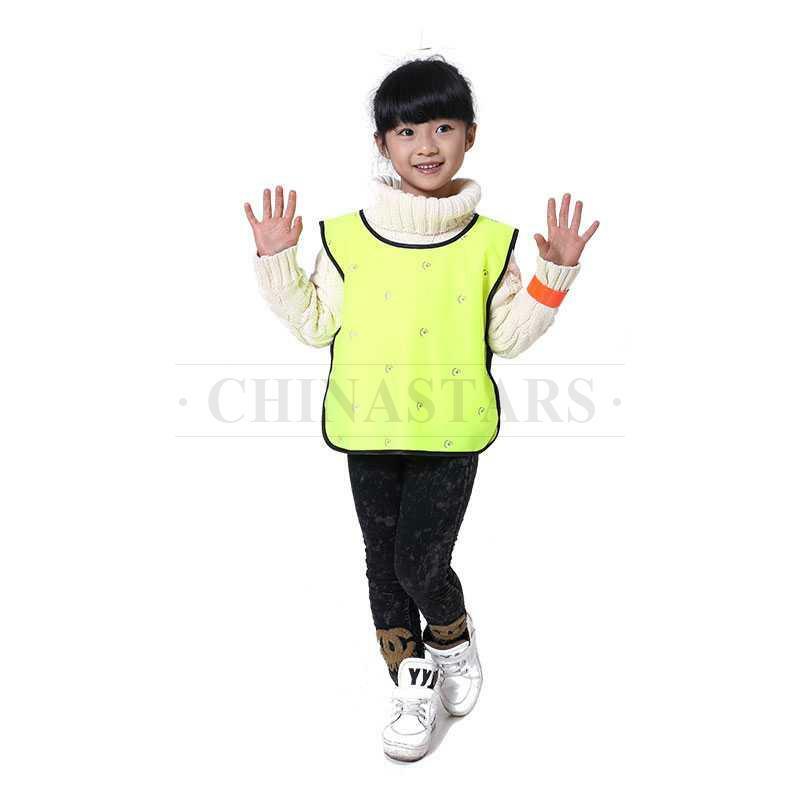 CSV-093 children reflective vest includes many reflective dots on it. It can be a good choice to prevent danger when kids need to play, run or walk in the darkness. Lightweight and good breathable fabric material provides this safety vest with great breathability which makes children feel comfortable. Elastic tapes with Velcro closure for children easy to put on and take off. Logo or text imprint is available, just send us your artwork. Reflective or non-reflective logos are both available.